One area we hung out in was called “Camana Bay“. It is a community that has been built on the opposite side of 7Mile beach facing the inner bay. Everything is accessible here: restaurants, residential condos, shops, schools, theatres and sports. 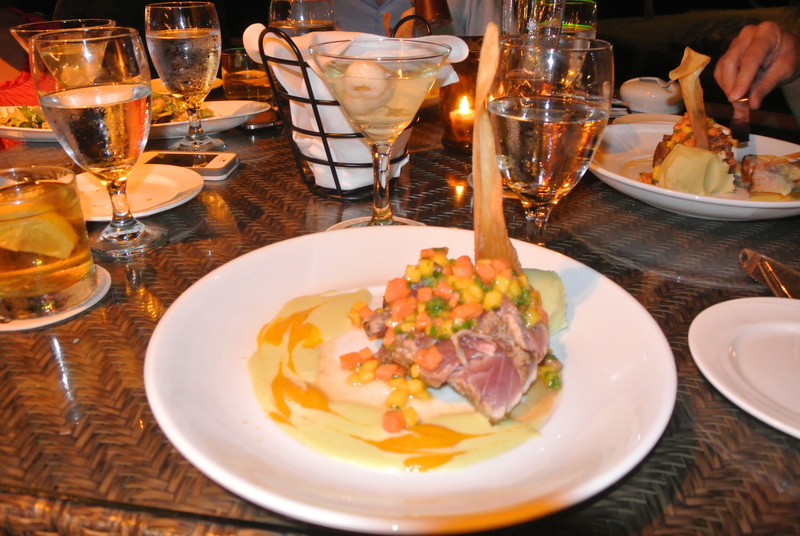 Because the town is relatively new, a number of restaurants featuring modern cuisine have moved in including Ortanique. We had an event at Karoo restaurant located in Camana Bay the night before and when it was recommended to try Ortanique just a few doors down, for a unique caribbean eating experience, we couldn’t pass it up. The cuisine here was fresh, crisp and light! It was all about seafood on this menu! 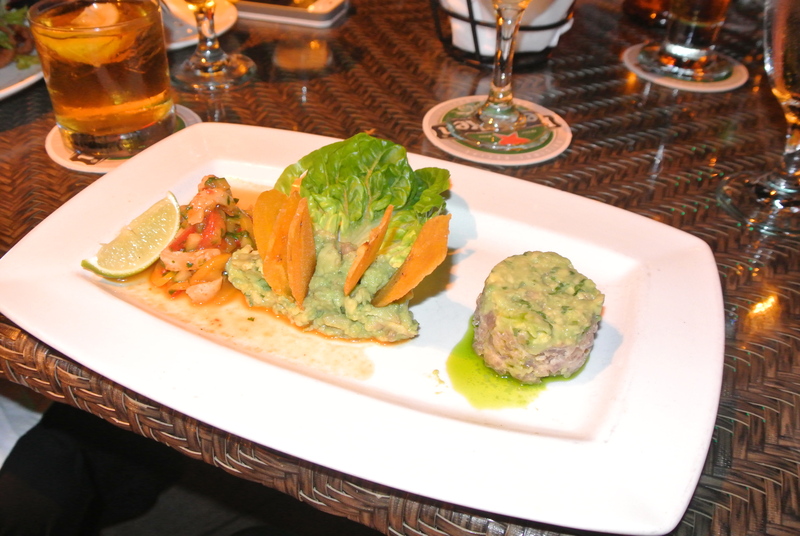 My main tuna plate was grilled to perfection, nice and raw on the inside…delicious! 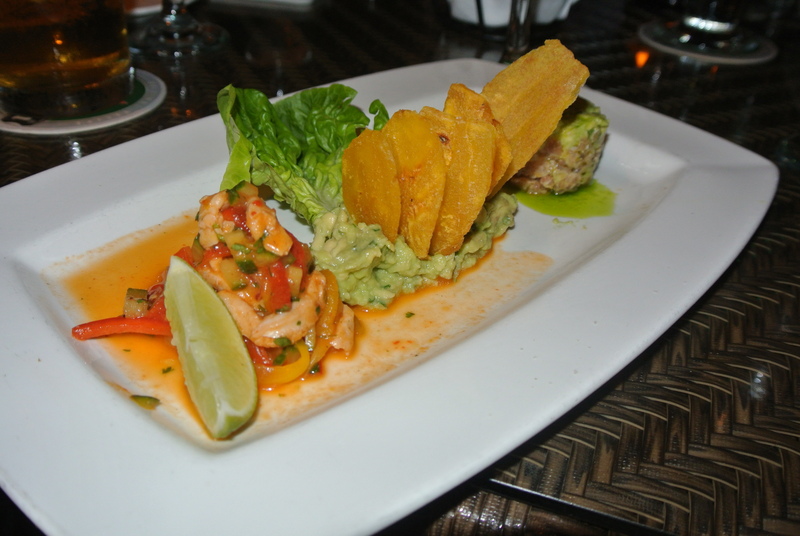 Appetizer – Ceviche with guacamole and plantain chips! 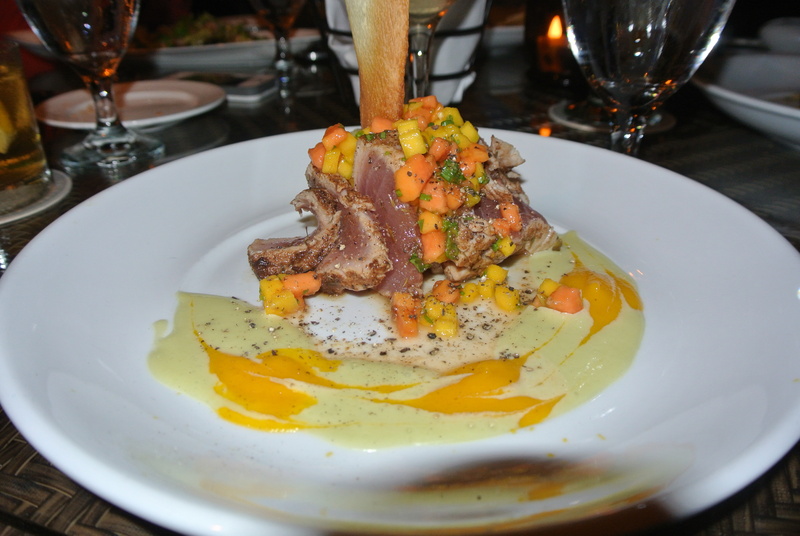 My main dish – seared tuna marinated in sesame oil, wasabi mashed potatoes and mango papaya salsa! Even the plates ooze a caribbean look, so colourful!